Mittal Patel of MNA Realty, along with her builder, both hold their heads as neither vote carries to permit her Taco Bell in Newton. Photo by Jennifer Jean Miller. 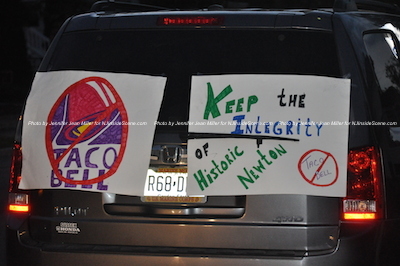 NEWTON, NJ – After the fourth meeting in front of Newton’s Planning Board on Thursday, Oct. 8, the application for the preliminary and final site plan approval for a Taco Bell Restaurant at the corner of Water and Hamilton Streets was denied with prejudice, meaning the application cannot be refiled following its denial. 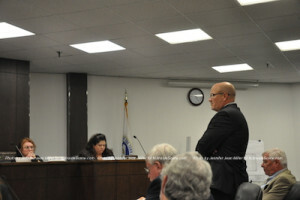 After testimony from the applicant’s attorney, engineer and construction official, with plans that the board would approve a design for the site with a bypass lane, or one without it, neither motion carried. Cheers could be heard from the outside of Newton’s Municipal Building from the crowd that had packed the special meeting held to just discuss this application, as well as at the meetings on Jul. 15, Aug, 19 and Sept. 23. This group has mobilized with petitions and also a Facebook campaign opposing the project. Should the project have carried, the County Seat, the local eatery all of them were rallying around, would have to close. “We want to thank you from the bottom of our hearts for putting the Town of Newton first, and not Taco Bell,” said Earl Schick, one of the individuals who spearheaded the “No Taco Bell in Newton” movement. Earl Schick thanks the planning board. Photo by Jennifer Jean Miller. 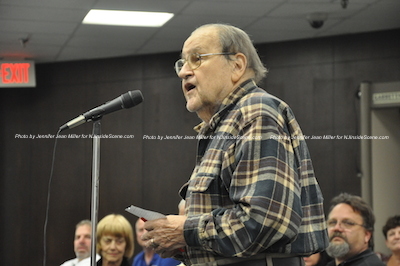 Gary Marion, one of the planning board’s members was the one who set the ball in motion on the board for the vote of disapproval, actually asking after the testimony was heard and the public gave their testimony, if there could be motions to deny both plans, because he felt neither was suitable for the neighborhood, nor did he feel the traffic study was adequate because it did not address the lunch crowd, which he believed would be more populous than the dinner crowd if a study had been performed. 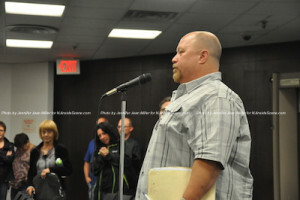 Gary Marion (center) proposed votes be taken to deny the application with and without the bypass. Photo by Jennifer Jean Miller. David Wallace, the applicant’s attorney, asked to address the board before this vote was taken. David Wallace, attorney for the applicant, asks to address the board. Photo by Jennifer Jean Miller. The first vote was to deny the site with the bypass, which Marion voted “yes” on, followed with Kent Hardmeyer, who seconded the motion, then Neil Flaherty and Dan Flynn. The “no” votes were Greg Le Frois, Helen Le Frois, Joe Ricciardo and Sandra Diglio. 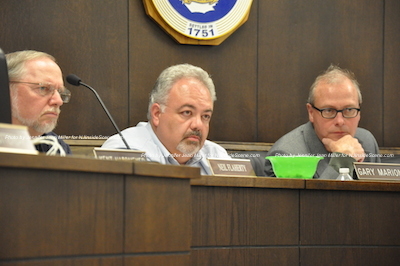 This vote failed, but as counsel for the town noted, it was not a positive measure. Counsel for the planning board suggested then attempting to vote on each of them in an affirmative way, with the resolution for each presented with each of the variances. Since there were not enough affirmative votes, in spite of the tie, the motion did not carry. A vehicle outside the municipal meeting, with signage posted opposing the project. Photo by Jennifer Jean Miller. In voting for the plan without the bypass, all members of the board hesitated to make the motion to vote, with Helen Le Frois making the motion, and Ricciardo seconding it. There were six “no votes,” including Marion, Flaherty, Hardmeyer and Flynn. 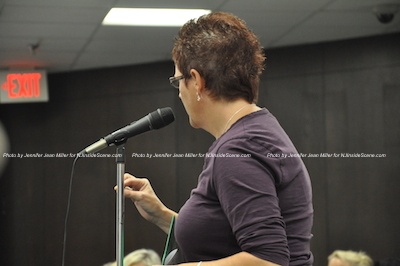 Diglio stated that she “wanted the bypass,” which was why she changed her vote to “no” on the second round. Greg Le Frois voted against it because of the lack of the bypass. 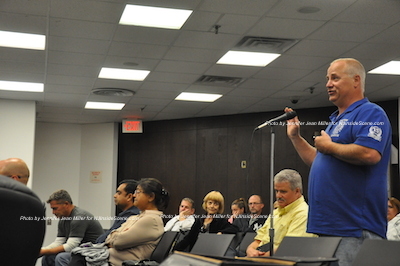 Members of the public spoke passionately in opposition of the project, though none of them were against the idea of the Taco Bell coming to town. Many iterated that they believed the restaurant would do well, just not in that location. Among his concerns, Schick said that he was concerned the traffic would bottle neck and more youth would be loitering in the neighborhood. Michael Bezney, a property owner on Hamilton felt that the turning radiuses would be uncomfortable as they were at the Dunkin Donuts on 206, among his many concerns. Bob Weherenberg spoke out as a fireman that the bypass was vital, if it would be the choice, but felt that people would rubberneck, rather than move, if there was an emergency. 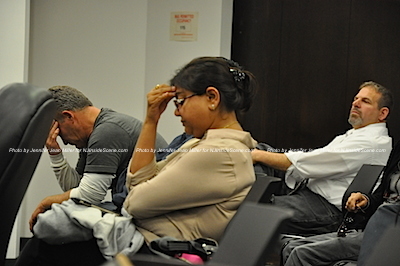 Bob Weherenberg, a firefighter, takes the mic and speaks about the problems the site would encounter during an emergency, as Mittal Patel of MNA Realty sits with her arms folded, listening to his testimony. Photo by Jennifer Jean Miller. Weherenberg also asked what would happen if a resident of the County Seat building left their parking spot and someone at Taco Bell took it. “It’s going to be a cluster, it’s going to be a disaster,” Weherenberg added about the placement of the business there overall. Missy Muller described herself as a Hampton resident who patronized the Newton businesses about twice weekly and enjoys often visiting the theatre. She spoke about the traffic and how at 12:15 the other day it was backed up through the square. She also said that the town has made many concessions for Taco Bell. She asked where a line would be drawn, especially if this was to pass. Missy Muller speaks during the public portion of the meeting. Photo by Jennifer Jean Miller. 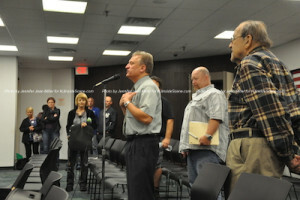 Russo was not present at the meeting. Joe Kocur, a resident of Hamilton Street, expressed that Hamilton has become “a good street for relaxing” since it was turned into a one-way. He said that the business would impact the street’s pace, quickening it, and adding more traffic and activity, when it was normally relaxed. Joe Kocur of Hamilton Street addresses the planning board. Photo by Jennifer Jean Miller. Florence Laflamme, another Hamilton Street resident said that she would lose her parking spaces on the street if the plan were to go through. Suzanne Datria, a business owner in the area since 2006, said that she and her husband had brought business people from out of town through Newton and they remarked how unique the downtown was. “Taco Bell doesn’t fit into this theme,” Datria said. She spoke out too about the Aberlour building, which she described as a beautiful new building where the residents would now have to look down on Taco Bell. “Just because someone wants to do something doesn’t make it right,” she added. Those in the audience cheered as they learned the outcome of the vote. Several of them took to the microphone following Schick. The meeting wrapped up close to four hours after it began, starting at 7 p.m. and concluding at 10:45 p.m.
Michael Bezney thanks the planning board at the conclusion of the meeting. Photo by Jennifer Jean Miller. Patel, who does not reside in Sussex County, has launched two other Taco Bell Restaurants in Sussex County, with a restaurant opening soon in Franklin, and another slated for construction in Vernon. Like this story? 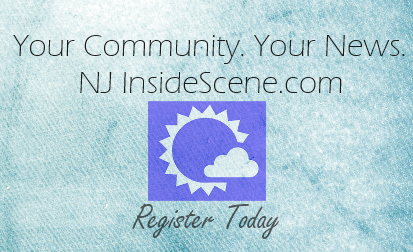 Then stay on the scene with NJ Inside Scene for other stories like this. Click here to follow us on Facebook.